Morel Mushroom Hunting for Everyone - Explore! Morel Mushroom Hunting for Everyone - Explore! Gourmet Morel Mushrooms for Free . . . Even a tiny morel helps your Pathfinder relive a joyous primal memory. Our early ancestors survived by foraging for wild foods. Many of us relive a deeply buried memory of that heritage when we experience the joy in successfully finding, and ultimately consuming, a gourmet wild edible. Morel mushrooms are a premier delicacy in many parts of the world. The abilities to navigate safely in the forest, to see through camouflage and to know morel macro- and micro-habitats are necessary if you want to return safely with your morels. These are all traits of good explorers. The good eating that comes with a successful hunt is the prize that motivates many to explore for mushrooms. The discovery of new places, terrain, and views comes with the adventure. Whatever motivates you, mushroom hunting, and morel hunting in particular, is a great excuse to get out and explore. In some places morels appear in old apple orchards and a variety of other habitats, but in the Oregon Cascade Mountains and much of the western United States, they appear in coniferous forests. But not, as you might expect, in pristine forests. To find mushrooms you must have a basic understanding of their habitats and behavior. First of all, the mushroom itself is but a fruit of a much larger ‘tree’ made up of thousands of miles of tiny strands of underground mycelia. In fact, the largest living organism ever found was a mushroom. Not the individual fruit, but the normally unseen mycelia that arose from spores and spread through the soil over thousands of acres. It is particularly interesting that, unlike plants, mushrooms are sexual beings. An individual spore can sprout and grow its mycelium, but it cannot reproduce until it comes into direct contact (unlike plants) and mates with a compatible mycelium. Once mated, it can produce mushrooms we see and they, in turn, distribute spores to continue the process. The mycelia typically produces mushrooms when it is stressed. This is its effort to sustain the race by producing offspring. The key to finding morels is understanding the stressors that lead to fruiting. Successful morel hunters in the coniferous forests have long known to look in areas that had burned in the previous year. Research suggests that morel mushrooms can live for awhile without a connection to a tree, but that they do better when they tap into tree rootlets to obtain nourishment and provide minerals to the tree. This symbiotic relationship is beneficial to both the mushroom and the tree. When the tree dies suddenly, like in a forest fire, the mushroom is stressed over the loss of its food supply and produces mushrooms in an effort to put spores in the air that can travel to more hospitable environments. So, burned over areas are good places to look for morels. Exploring some less-than-pristine habitat in search of the elusive morel mushroom. Timber harvest also kills trees and can have the same effect as a forest fire, as far as morel production goes. In fact, our adventure took us to an area where the timber had recently been thinned. There is a lot of thinning taking place in the forests of the western United States. Commercial timber harvest has been significantly reduced over the last couple of decades leading to trees becoming crowded and the biomass levels rising to unprecedented levels. In order to reduce the likelihood of extremely severe wildfires that can lay waste to entire forests, foresters have been removing some of the trees to reduce the level of biomass and increase the health of the trees that remain. As a result, morel hunters have a lot of places to look. Mushroom growers exploit the relationship between morel fruiting and dead trees. In 2005, Stewart C. Miller even patented a process for growing morels that involves inoculating tree seedlings with morel mycelium, allowing the mycelium to grow, then killing the seedlings to induce the morels to fruit. Read all about it in US Patent 6,907,691B2 (PDF – 186K). Morels grow in the spring. The snow must be gone and the soil must be warm enough and damp enough. Researchers developing techniques to farm morels have found that a flood of water is necessary to induce fruiting. It’s the melting snow that provides the water the wild mushrooms need. Soil temperature is also important. Morel metabolism doesn’t kick into gear until the weather warms a bit. This is about the same time of the year as lilacs start to bloom. As a result, the first morels are typically found in lower, sunnier areas. As the year progresses, they can be found farther and farther up the mountains. Once in an area likely to have morels, you must begin to think about the micro-habitats that produce morels. First, morels sprout from the ground. They do not grow in trees or from logs like many mushrooms. Second, disturbed ground that provides evidence of damage to the morel mycelia generally produces more morels. Third, slightly lower areas that held a bit more water from the melting snow seem to produce better. Look for ruts in the ground caused by logging equipment. Look in the most disturbed areas you can find – even around slash piles – as long as there are some needles and twigs over bare soil. Then, look all around. Sometimes morels pop up where you would not expect to see them. Note that if you find one mushroom, there are probably more, so focus more closely on the ground all around your find. Two morels in their micro habitat. What does a morel look like? Morels are one of the easiest mushrooms to identify because they lack the traditional cap, gills (or pores) and stem of the more common mushrooms. Review the photos here to get a good idea of their general appearance. Can morels be confused with poisonous mushrooms? Yes, if you are not careful! The photo to the right is a false morel, known scientifically as Gyromitra esculenta. We found it on the same day and in the same habitat where we picked the true morels shown elsewhere on this page. According to Tom Volk a mycologist at the University of Wisconsin-La Crosse, this mushroom causes two to four percent of all mushroom poisonings. Some people eat it after repeatedly boiling it to remove the toxins, but I recommend that you avoid it. It is clearly not the morel for which we are searching. Besides the color, note how the texture is formed by wavy, folding ridges rather than by sharper ridges that enclose depressions or pits. Verpa bohemica, or the early morel, is also a false morel and looks much more like a true morel than the Gyromitra species. One way to be sure you have a morel is to look at the mushroom after you cut it half lengthwise. The cap of a true morel is attached to the stem for its entire length. The false morels have caps that are separate from the stem at the bottom so they look more like an actual cap sitting atop the stem. Morels are very good at camouflage. You will find pine cones on the ground if you are in a coniferous forest. In an upright position, these cones can appear nearly identical to a morel, especially in the subdued light of the forest. Their coloring and texture allow morels to hide well among the dirt and needles of the forest floor. This is especially true in a burned area. As you can see in the photos, these morels are quite dark and even have edges that appear burned. I have had my eyes on a morel only to look up and then back down to be unable to find the mushroom. Some people say they run and hide. They certainly can be elusive. A different perspective often helps. The photos below show two views of the same mushroom. From the top it’s a bit hard to discern; from a different angle it becomes more obvious. Because of the difficulty in seeing morels and changing perspective, a picker following another picker can often find mushrooms the first picker missed. Mushrooms have distinctive odors. If your nose is sensitive enough, you can use it to find morels, or at least get you close enough to find them by sight. Our adventure began at the office of the Klamath Ranger District of the Fremont-Winema National Forests. In the United States, the National Forests are public lands and anyone can forage for wild edibles in them for little to no cost. As long as the edibles are for personal use. If you plan to sell your mushrooms, you enter into the arena of commercial use and must purchase a permit. We were at the Ranger Station to pick up our free-use permit. Individuals can face a large fine if caught possessing mushrooms without one on the Deschutes, Umpqua, Willamette and Fremont-Winema National Forests of central and southern Oregon. Other National Forests and other public lands have different rules. For example, the Rogue River National Forest allows possession of up to two gallons of mushrooms without a permit. Our permit allowed each of us to pick up to 2 gallons of mushrooms per day for any ten days of the season. You are also required to cut your morels lengthwise and separate the halves. The open market wants only whole mushrooms. With our permits in hand, we set out on the search. Our party included Pathfinder Jerry, Chief Scout Trish, Chief Scout’s sis Tamera and her three kids – Nicholas (age 8), Annie (age 7) and Jayden (age 3). Morels are a spring mushroom that appears as soil temperatures rise. We had heard, that in early May they were starting to appear in the Rocky Point vicinity west of Klamath Falls, Oregon. We searched several disturbed areas of the forest in the vicinity of Rocky Point. Don’t expect a more detailed location – morel hunters rarely reveal such details. Further, if you arrive at a given location a week or two late, you won’t see any mushrooms. A terrific mushroom patch will be a disappointment if you are there when the mushrooms aren’t. Mushroom patches also move from year to year. While a burned area or timber harvest area might produce morels for a year or two, they soon stop producing and mushroom hunters must move on. This adventure simply requires some exploration on your own. We spent the better part of an afternoon, first finding only a couple of morels higher in the mountains before dropping lower to find more. A hundred feet of elevation can make a big difference. Tamara used her nose to tell us there were morels around a couple of slash piles. She was right on. Although morels are less odiferous than other mushrooms, Tamara is good at detecting them. We found several morels close to the edge of the slash piles, but we had to move some of the debris to uncover them. If you have the need to move branches on a slash pile, please toss them higher on the pile rather than scattering them around. Those piles cost a lot to make and tearing them apart is vandalism. Upon setting off across the forest we came upon more morels hiding in the detritus on the forest floor in many of the micro-habitats described above. Although we spent a lot of the afternoon exploring unproductive areas, we collected a couple pounds of morels and enjoyed a great walk in the woods. One last note. Please cook your morels. Chitin is the building block of mushroom cells. It is quite difficult for people to digest. Cooking allows your body to gain the full benefits of the mushrooms while greatly enhancing their taste. In addition, some people get very ill eating raw morels. 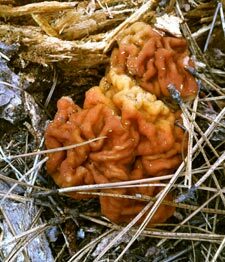 Tom Volk offers a lot of information in his article “Fungus of the Month” for April 1997. If you’d like to try growing your own, be sure to study the links collected by The Mushroom Growers’ Newsletter. For information on cooking morels see the “Mushroom Appreciation” website. The text, video and all photos, except as noted below, are by Jerry Haugen, Pathfinder, and ©2011 Global Creations LLC. The photo of the plate of mushrooms below is by Trish Haugen, Chief Scout, and ©2011 Global Creations LLC. The photos of your Pathfinder and the false morel are ©2011 by Tamara Campbell and used here with permission. The soundtrack of the video uses the song “I Just Enjoy Morels Too Much.” Zoe Wood and Larry Evans wrote the song and Zoe Wood performed it. Larry gave us permission to use it. If you like the tune, please buy the Fungal Boogie CD with 13 songs about mushrooms. You will find links to additional burns. I love the site and all the info you have put together. Thank you Pathfinder!! Can you help point me in the direction in the Gifford Pinchot National Forest? When I was a young boy I use to go out with my grandpa in the Packwood/Randle area. I now live in Tacoma area and hoping to travel that direction out through Eatonville/Morton. Any help or possibly a link to access some Burn maps maybe? I found some in Terrebone oregon on April 18th. Several small patches. First time picking. Hello! Does anyone know if Stub Stewart Park near Vernonia has any good picking areas? Also, are there any places near Portland on the Washington side to look? Possibly near Ape Caves? It looks promising to me. Be aware that many recreation sites in the burn area remain under a closure order due to post-fire hazards such as fire-weakened trees and potential rockfall and landslides. To check the status of recreation sites or learn more about Eagle Creek Fire Response, visit the Columbia River Gorge National Scenic Area website. Regardless of where you are in this burn area or any other, watch for falling trees (when you least expect them), holes from burned out stumps, landslides, rockfall, and debris flow, which can be triggered by heavy rainfall or freeze/thaw cycles. Various maps may be found here. I was wondering if the cascade locks eagle creel fire will be good to pick? I am for the columbia river gorge and want to pick. Should be more coming soon! We’re at 4,000 feet – could be awhile here. Today, 3-26-18, I just saw a couple of newly sprouted morels in sunlight under the oaks (somewhat wild terrain) next to the driveway. We’re at under 1,000 feet in Southern Oregon and have been having frequently foggy or cloudy, sometimes freezing and snowy, nights and some days up to the 50s. Thanks for the info. Everyone, you can find the book at the Modern Forager website. If you want maps from 2-year-old burns and you have a gmail address, you can get those free by asking modforager at gmail.com. I really enjoyed your article! Very thorough and nice visuals. I wanted to let you know we have published an e-book packaged with burn morel maps for CA, OR, WA and ID. We spend hours importing data and then curating the information to get rid of fires that are not ideal for various reasons. Let me know if you are interested in learning more. Thanks! I don’t know of any specific locations. Follow the instructions in my May 25, 2016 comment, below, to find some possibilities. Hello I’m new to model mushroom hunting . I live in kitsap county area. Have you heard or do you know of any places to look? I recommend that you get connected with the Cascade Mycological Society. They have a meeting tomorrow April 19 at the Amazon Community Center (2700 Hilyard St in Eugene) from 7 to 9 PM. For others that may be looking to learn more about mushrooms in general, there are lots of clubs around. Check out the list of those related to the North American Mycological Association. Thanks for the kind words. In March there were some Oregon finds along the Coast Range. Not many reports yet for April, but it they do seem to be moving to higher elevations. Hey Thanks for this! Just got a pic of some mammoth sized morels from a friend in Southern Oregon….. I have yet to see anything in the state other than a couple false morels near bandon.. Thank you for the kind words and the link. That web page offers some excellent advice and will be especially useful to those in Colorado. 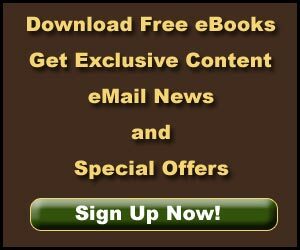 I found this link helpful as well. It looks like people are still finding them there. Hey Jerry, are morels still growing in north carolina or is it too late in the season? Thanks for all the great info. Yes, morels are often found in urban areas. The usually come up in mulch and are typically ‘blond’ morels, rather than the black morels featured in our story. Do morels often pop up in urban settings? 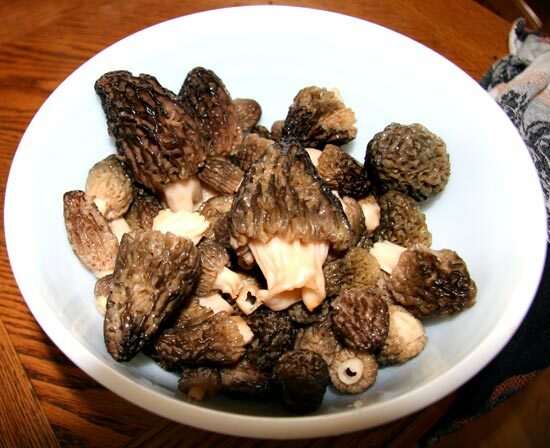 We HAVE had a very wet winter….and I just found 3 beautiful morels in my yard in inner city N Portland! Your time frame seems plausible. There have been some morels found on the coast, but not from burns. Nothing attractive happening yet at the higher elevations. http://www.morelmushroomhunting.com/morel-progression-sightings-map/ at the bottom of the age. If you want to study and not pick, you might check out the Crater Lake Science Center ( https://www.nps.gov/rlc/craterlake/index.htm ). The park had a nice burn in the summer of 2015 that might be producing. Thanks for your knowledge! I’m interested in studying burn morel micro-habitats across larger-scale burns in the PNW and could use some advice on planning my trip as I’m from the East coast. I’ve checked out fires on inciweb, and the Pioneer Burn in Idaho looks most promising, however I am wondering if you’ve heard of any other potential sites in Oregon, Idaho, Washington, or wherever attracting pickers and buyers. Secondly, does May 12 through June 1 sounds like a plausible timeframe for the burn morel season in Oregon and Idaho? I’m hoping it’s not too early. Reports are starting to come in from across the country, but I haven’t heard anything from Oregon yet. They should be arriving soon in the Medford area. Yo what’s up any luck in Applegate southern Oregon yet ? You may be able to find some blonde morels in mulched areas around town. For black morels you’ll need to check out recent burned areas or areas with some timber harvest as discussed i the story. To find last year’s burned areas see my May 25, 2016 comment. I do a lot of chanterelle hunting, but unfortunately those are fall mushrooms. I would like to dabble in morels and spring kings but I don’t know where to go. I live on the oregon coast in Warrenton. Where would be a good place to start? Thank you. Sorry, but it’s pretty rare to find morels in Mississippi – nothing like your area. In years when they are found in Mississippi, they seem to show up in March at the far northern end of the state. It’s possible that the tornadoes going through there have stirred things up enough to get some fruiting, but it’s hard to say. I lived in southwest wis, and I mushroom hunt big time. This year I will be in Mississippi during wis prime time. Does mississippi come close to the northeast ia and southwest wis yields?? Color is not a good indicator of when to pick a morel. In general, if you find one and it’s large enough to be worthwhile, pick it before someone else gets it. Since they are in your yard, you might check them out tomorrow and see if they get any larger. The idea is to wait until they stop growing so they are as large as possible. I live in Los Angeles, and just found a couple of Morels in my yard, growing out of the mulch! Currently, they are a little darker on the insides of their lobes, and lighter on the outside. Should I wait until this changes to get them at peak ripeness, or are they close enough to it now. There are morels, but apparently not many as they aren’t reported very often. Morels where found in the middle of Alabama and southern Arkansas last March. March is probably a good time to be poking around Alabama, especially if you can find habitats similar to what you found in Illinois. Some were reported in far northern Mississippi in March of 2014, around Desoto in March of 2012, near Ethel in March of 2011 and Starkville in 2010. That’s all I could find. 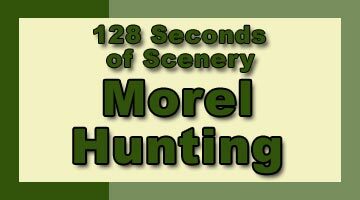 Take it as an opportunity to find some and prove your morel hunting skills! I’m kinda bummed to hear that there’s possibly no morels in Central Mississippi! I’m from here and moved back after 16 years in Illinois. My wife is from Illinois and introduced morels to me and I fell in love with the successful hunt not to mention eating them. I think I have a tear in my eye! Thanks Jerry for the info you provide! It’s getting late in the season, but I suspect there will be some at higher elevations. I don’t know of any fires in that area last year, but if you do and they are at higher elevations, you might check them out. We live in the LaPine OR area , we have gone out for the last several weekends and haven’t had any luck are we too late? Click “Set” to get a list of all the wildfires put out over the last year (nationwide). This will narrow the list to those in your state. The “Updated” date would indicate about when the fire was out. Click on the word “Updated” so that the oldest fires are listed first. With that information and the “Unit” name you should be able to find fires that were in your area, if any. For example, the Sleepy Hollow Fire was in southeast Washington. Click the incident name to learn about the fire. In this case it was near Monitor, Washington and burned almost 3,000 acres. The Latitude and Longitude are also provided so you can use your GPS to find the location. If you look under the “News” section, you will find that the fire was burning in sagebrush and grass so it’s probably not going to produce a lot of morels. Anyway, you get the idea and can search out potential areas for morel hunting that way. Do you know of any good places to hunt morels in the tri- cities area? Or along the Columbia River from Burbank Washington heading into Oregon? 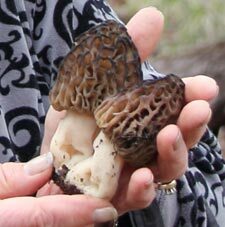 Morels were up in Wisconsin in April and some were found at the Muscoda Morel Festival (May 14-15). Some were found between Eau Claire and La Crosse on May 18. Last year the season started at about the same time, maybe a little earlier, and ended up around the first of June. From what I hear, the season is at its tail end in Wisconsin now. You might find a few, but don’t be surprised if you just have a nice time in the woods. Well, morels started showing up in Michigan in the middle of April this year, pretty much like last year. Usually the season ends around the middle of May there, so your visit will be pretty late. Still, it all depends on local weather. One never knows with morels. we are planning a trip to Michigan may 20th and 21st is this to late in the season to find mushrooms there? I have been an avid hunter of the morel mushroom. In the spring we go to the White pass and Chinook pass areas of central WA. We usually find a few pounds on a good hunt or at least enough for our dinner on a not-so-good hunt. Last spring we found 1 single morel all season!!! It was incredibly dry in 2015. Have you heard of anyone finding them in that general area this year? Or should we try to find a new honey-hole? My boyfriend and I are driving through Oregon, just passing time over the weekend. We’re heading to Lincoln City for the night. Would you happen to know if there are any great places nearby that we might find some morels? Some were found around Oakridge last month, but that’s all I’ve seen. I haven’t been up that way, but I’d have to guess the ground isn’t warm enough at the pass. Might be some around the lakes. Reports around there are pretty sparse. Apparently some were found around Blacksburg at the end of March. Next closest would be on the Cherokee National Forest more recently. Lack of rain can definitely slow the morels. Take a look at the map at http://morelhunters.com/index.php/ and see if you can come up with a theory about why they are where they are. It may just be a bad year, but it is time to be looking. I am curious about morels up and around odell/crescent lake. Over Willamette pass. I have a cabin up there and have many other kind of choice edibles. Hoping for morels also? Any info on where and when they might be found in the mt loop hwy area, like green mountain, or anywhere really in the snohomish county area, Arlington, Monroe, gold bar, Mt pilchuck area ? I looked all last week but all I found was a couple soggy verpas, am I too late or too early? I know we are expecting some rain this week, is it possible they will pop up after the record heat and rain we have this month? Thank you in an advance, great info and love the site! Yes, there are morels in that area. They started appearing near Olympia a couple weeks ago, so you should be out looking. Wondering if morels are around grays harbor wa? I know we fi d alot of chanterelles out here. Yes, you will need different permits depending upon where you pick. Some of the National Forests sell permits that cover several adjacent Forests. You’ll have to check in at the local Ranger Station or Supervisor’s Office to get permits and they will tell you which Forests they cover. Some private forest lands allow picking, but they all have different permit systems. If there is a bumper crop somewhere, there will likely be buyers in tents in nearby towns. Otherwise, you can do a Google search to find buyers, or try taking the mushrooms to the produce managers at local grocery stores. I plan on traveling in Oregon picking and selling morels. Do I need to get different permits for different areas? Also, where would I find buyers? The season has been pretty early this year, probably because of the big rains we had in March. I suggest you get out and start looking. In years when you think you are too early and there is still snow on the ground or it’s just too cold, try doing to lower elevations or southern exposures. As the weather warms up, you will find morels at higher elevations and in other exposures. If you can, it would be great to go looking every three or four days, but there is no point in going to the same spot each time since you risk never finding any. When you do find some, note the elevation and aspect and look for more in similar locations. I live in Prospect and have been mushroom hunting since I was a kid. I keep finding excellent spots to pick them, and I’m almost positive I’m always too early. Is it a good method to go back every day or so, or do I wait a few weeks and scout it out? And also, may I ask if you know of any spots around or near Prospect that are likely good to go at this time of year? I am happy to hear a response, and thank you for all your kind and helpful responses to everyone prior. Would you know if the morels have started popping in the Rogue Valley or at higher elevation? Wanting to get out and find some morels. I’ve only ever hunted for chanterelles. I live in NW Oregon, about 30 miles east of Astoria. I’m going to check some fresh clear cuts and look around near my chanterelle grounds to see if I can get lucky! The conditions you describe should be prime areas for black morels. Looks like the season is starting earlier than usual, with morels being found in places like Medford and Oakridge. Given those places are at considerably higher elevations than Hagg Lake, I suggest you get out there and start looking. I am trying to find out about Morels in the gaston oregon area around hagg lake. Last year they had a fire & there are many clear cuts out in that area..
Any info about that area Would be greatly appreciated. Yes, morels grow throughout western Washington. I was wondering if anyone could tell me if morals grow anywhere in the northwest part of Washington near Seattle or surrounding areas? Morels can grow anywhere that conditions are right (but not everywhere). As far as elevation goes, there really is no limit. As I mentioned earlier, they were found at 6300 feet in Colorado and a week later they were appearing at 7100 feet. They have also been found close to sea level. You won’t find them everywhere at once, because they need appropriate soil temperatures, water and other things. However if you find them in a burn at one elevation, you will probably find them later at a higher elevation – assuming conditions are pretty similar. You’ll need to do some estimating to get a bead on what’s happening elsewhere. Hi! 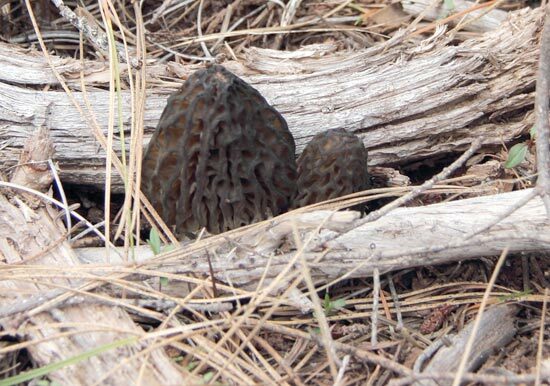 Do you know if there have been any morels in Northern Colorado? Poudre or Big Thompson areas? From what I hear they got started in the middle of April – that’s a bit early. Depending on local conditions (rain particularly) you may still be able to find some although I suspect the season is about over there. Definitely an odd year. Any news on morels still popping up in northern Indiana “Marshall county” to be specific? I’ve been finding grays and blacks for the better part of three weeks and have only encountered several yellow about three days ago. I hunt family owned property over 200 acres for over ten years and this has been an odd year. A specific morel may grow over a few days and dry out and disappear in ten days or so – maybe that’s what you were told about. Nonetheless, a patch of morels can produce mushrooms for several weeks and, in the example I gave Stacy, eight months under specific conditions. They don’t pay much attention to state lines. I was told mushrooms will grow for only 10 days in Iowa, Is this true? In general, morels will fruit (they are always growing underground) after the snow melts and the ground warms up a little. They will continue to fruit as long as the ground stays damp and the humidity stays high. So, it depends on the weather. In at least one place, morels are known to fruit eight months of the year near a stream that keeps them damp and under dense shade that helps keep the humidity up (it’s a pretty humid place to start with). So, it also depends on the micro-climate and local conditions. People were still finding morels in Michigan last week. How can I tell if it is too late for new morels to grow in Michigan? The answer is that no one knows for sure, yet. The thing about mushrooms is they can look quite different from each other based upon how they grow (sunlight, temperature, water etc.) even though they may be genetically identical. Taxonomists that study living things like to group them into genera. Morels are in the genus Morchella. Some taxonomists think there are 50 or so species within the genus Morchella based upon their appearance and others think there may be as few as three. The genetics on all 50 of the potential morels will need too be examined before we know which are really separate species. As far as types of morels. that’s a bit of a different story. This is not a scientific term and is generally used to describe the morels you might be looking for in the forest. Typically they are blonde or yellow, white, and black. Some taxonomists think those are the only species of morels and some think there may be several species in each type. Thanks for the kind words. I’m glad you are enjoying the website. I haven’t heard of any other finds from the east side of the Cascades in southern Oregon. The lack of snow and early snowmelt, of what little there was, makes it hard to guess what might happen. Nonetheless, my guess is the rain we are getting right now should help them get going and growing in the places you have been finding them. The rain is spotty, but apparently heavy in some places. The more rain the better. Now, if we can find some good habitats that also got some heavy rain we’ll be all set! Just came across this site after Anne and I spent the day wandering around looking for morels. What a great site, looks like you are having fun with it! We found a few but seems pretty dry. We found them anywhere from 4200 to 5200 feet and didn’t seem like there was a bunch at any particular elevation. have you had any other reports from the area? We tried the thinned areas on Westside Road but it is already dusty dry at that elevation. Maybe we’ll get some rain! Thanks for putting together such a cool website. There might be an occasional one around, but they are not often found in the lowlands. Try looking in the NW third of the state. I’ve heard of some this year from the Columbia, Greenville and Lancaster areas. Pretty good picking a month or so ago. “Someone” was wrong. I’ve heard that morels have been visiting Virginia for the last couple of weeks. I’ve seen some reports from Central and Eastern Washington (Ellensburg, Cle Elum), so depending upon the elevation and water situation, there should be some showing up in your area. It depends on where you are in Indiana. A quite a lot were still being found in Union, Wabash, Fayette, Noble, and Huntington Counties this week. are the mushrooms about gone in Indiana? My family is thinking about our annual mushroom hunting weekend…debating if we should go now, or wait a couple of weeks. We live in SE Washington an hour from the Blue Mountains, and 3 hours from the Grand Coulee Area. Any thoughts on approx timeline for prime mushrooming? Hey that’s great Sherrilynn! They are moving north quickly. Hello Jerry we are finnaly starting to find nice ones in SW WI. Hi! I live in Sandy Oregon, any morel spots nearby that you’re aware of? Thanks for the kind words. From what I hear a quite lot began showing up last week in the Sierra’s including Tahoe area. That’s kind of surprising given the dry winter. There are other people finding them around Omaha. The season seems to be just starting there, so keep looking. Finds in that area have not been huge . . . yet. Hey man!! Like your info u share on here!! I’m in Nebraska, Omaha!! I have found only about 6-7 small ones in spots I always find them! Is it bad year or have we just not hit the season completely? I have seen some pics on Facebook saying that people R killin em! What do u think? Thanks in advanced!!! If you aren’t working your way up the mountain now, I suspect you are missing morels. It’s time to be looking in that area. I live in Roseburg & plan on hunting this year with the family near Rice Creek area, should we wait until more May/June? Sounds like they haven’t made it up this far yet by the comments. Thanks for the report. Be sure to look around thoroughly both uphill and downhill from your find. Chances are very good that there are more around. For those of you that don’t know, Gale’s Creek is a community something like 50 miles west of Portland, Oregon. The community itself is at around 300 feet, but the mountains around there get up to 2500 feet or so. I found 1 morel today at Gale’s Creek. First time morel hunting so I was super happy to find 1. Well, it got colder – I suspect that’s why the finds dropped off. The last elevation reports had them at 1500 in the Applegate River country and 1000-1500 outside Portland, so I have to guess they are, or soon will be, moving up the hill around Cave Junction (1300′) and Grants Pass (900 feet). It should be awhile for Hyatt Lake at 5,000 ft.
P.S> My guesses are never as good as your hunting experience. hi Jerry,you are getting lots of questions and I also have some. I am going to Rogue River Sunday to visit my brother. I was hearing lots of reports around GP and Cave Junction. Now the reports have stopped. Are they still finding them along the valley floor or should I travel up? I used to find them around Hyatt lake but that was more like May/June I think. What do you suggest, I have limited time but want to score some for sure. Typically March and April in Arizona. I heard one report of some in the Sedona area a couple weeks ago. Where might I scour for morels in Arizona, guessing April/May timeframe? My guess is that you are too early for that elevation. I have a report from southern Oregon at 1500 feet and Sutherland is around 4400 feet. You might give the Forest Service a call at 541-523-6391 in Baker City. The front desk people usually hear stories and may be willing to share some ideas with you. Hi there, looking to go pick around the Sumpter Oregon area this weekend. Was wondering if you thought if it might be too early for this area or if i should give it another week. I grew up in baker city and haven’t been back to pick in quite some time. I’d hate to make the trip from Portland to get skunked. Thank you very much. I have some great spots where in the years past we have filled coolers and a truck box full for several hundred dollars worth plus plenty to have to eat. All I can tell you is that they are up and about around Ashland and Grants Pass. I’m guessing around 2,000 feet or so. Check the burn maps and see what you can find west of Medford. For info on where to get the burn maps and lots of other hints, read the article and all the comments. P.S. Just got a report of some in the Applegate Valley around 1500 feet. Look for burn piles. Hi. My name’s Stuckey, I have been in Medord Oregon for three years now, from the lower elevations of the coast, and on top of working haven’t had allot of luck finding morels with what little free time I have. Mushroom hunting has all ways been a passion of mine. So you can imagine how excited I I am to have my third shot at finding these tasty morsels. I plan on heading out to Applegate area for a day trip but am not sure what Bute, range, or road to start looking on. I know that no one likes to give away their honey wholes but I was hoping you would b generous in pointing me the right direction. I’ve heard reports from Ashland and Grants Pass areas, but no one is revealing exactly where. I’d have to guess around 2,000 feet and maybe even higher. Let us know what you find. Was wondering with all the crazy weather this year in the medford area of oregon . What elevation would morels likely be found? Thank you for efforts. We like to slice morels in half lengthwise and saute them in butter. If we have enough they become the main course, otherwise a side dish. You can find some more fancy recipes here. Morels in flower beds may or may not come up next year. It depends upon how long they have been there and whether or not they have any food left to live on. We moved into NE Salem about 6 months ago and in the last week I have found at least 6 morel mushrooms in one of the flower beds. I need to know how to prepare them and also if I may expect them to come back next year. Yes, plants have sexual parts, and various ways to get their genetic material dispersed. In fungi, however it is necessary for a hypha generated from one spore to physically connect to a hypha from a different, but compatible, spore before a fruit can form. There’s probably an exception, but typically plants don’t need to do that. Unlike plants, mushrooms are sexual beings, you said. ‘Scuse me? Since when are plants not sexual? They get it on most spectacularly! I’m not surprised you didn’t find any at the top of the mountain. Morels seem pretty attuned to soil temperature. This early in the season they are going to be found at lower elevations. They will make it higher in a few weeks. There are plenty of reports of morels in your area, but of course no specific locations. Read the article to get the idea of habitats to search in. Happy hunting! So my family has just moved to Oregon, and we live in Williams Oregon near Grants Pass, or Jacksonville. We’ve heard about these morels, and we’ve looked and looked and looked, but I get the feeling that we aren’t looking in the right spot, because we go driving up to the top of the mountain and look. So, I’m wondering if you have any advice for us? Because so far we haven’t even seen a morel, and seeing is believing at this point. Morels respond to soil temperatures, among other things, so they tend to come up at lower elevations first. That’s why we are seeing morels on the west side of the Cascades and in the Columbia Gorge now. They should be coming up at higher elevations soon if temperatures stay up. I’ve heard of finds in Georgia, Alabama and southern Illinois and one report from BC already (no details on that). Some are showing up in the Rogue Valley (western Oregon) and in the Columbia Gorge. I’d say it’s time for you to start looking. If you don’t find morels just yet, you may find oysters, They seem to be doing well this spring – if you’ve had some rain. That map is a great place to start. You might want to choose a few burns then use Google Earth to see what kind of habitats were there before. Some of those burns are grass fires and aren’t likely to produce morels. All I can say about morels this year is that it’s going to be tricky. In southern Oregon we’ve had some rain, but no snow to speak of, except at the higher elevations and that is melting already. To me that suggests that there won’t be many low elevation morels and the higher elevations may produce morels earlier than usual. Then again, some heavy spring rains may produce a bumper crop. If/when they will appear is anyone’s guess. All high elevation forests in that area are known to produce morels. The key factors are winter snow pack and moist microhabitats. As elsewhere, the morel season tends to start low (relatively speaking) and move upward in elevation as the ground warms. Sometimes reaching 9,000 feet in July. The Klamath Lake Land Trust is offering an event on October 25 at Kimball State Park, near Fort Klamath. They call it “Fun with Fungi.” It should be a great opportunity to learn about fall mushrooms in the area. See the “Welcome” page for all the details. The Central Cascades of Washington seem to be the best option now. I heard some are coming up around Rimrock Lake in Yakima County, in Kittitas County, vicinity of Rosyln and in Chelan County around Blewett. Apparently most of them are at the higher elevations and a bit behind normal timing. You might try the mapping system at http://www.blm.gov/or/nwcc/ to find last year’s wildfires as other possibilities. My boyfriend has been picking Morel Mushrooms for a little over 4 years. He has gone to Sister, OR and Wenatchee, WA. I would like to know if there are other areas in washington so I can start hunting. Never done it before but, am very interested! Jackpot! I went to the get the morels I saw yesterday morning and walked around the entire property! They were everywhere! A lot of them I left due to them still being pretty small! I hope no one else knows about them and they stick around a few more days! My first stumble across morels was last Spring. I was walking through a parking lot that was new and had new bark dust and new plants. I looked down and saw these brain looking mushrooms. I took a picture and posted it on FB to see if anyone new what the brains were because I had never seen one. A few people guessed but it took a true mushroom hunter and culinary art graduate to tell me what they really were. He came over the next day to verify. He was jealous to say the least! I had found about $60 worth of morels out in the middle of a parking lot of a new store just across the street from my house! I educated my mom and my children on what are true morels. Just 4 days ago my 15 yr old son comes home with 5 little morels. He found them in the next parking lot over from the one I found them in last year. It too went through some construction with new bark dust and plants. I told him if he sees anymore to let them stay for a while longer because these were little guys! I looked as I drove by that are this morning and I saw about 5 pretty good size ones that I am going to go pick after I get off work! That is if no one else knows what they are! We have a new strip mall going in a few blocks away! I think I may go tonight and see if I find anymore treasures! Thank you for such a helpful response Jerry, have a good morel season! I hear they are pretty early around Atlanta this year. April 1 in Atlanta, a couple of weeks ago in Athens, April 5 in Dallas, April 10 around Monticello. It’s not too late! For those of you wondering where Michelle’s comment is, click the “Older Comments” link, below. I’m not very familiar with the area around Glendale, but here are my thoughts, in general. They will be at different elevations depending upon a number of factors including slope and ground cover. The soil needs to be warm enough so they tend to start on south slopes, then east/west and finally north slopes, then work up in elevation. If the ground is shaded, like in a thinning operation, they should be a little later. The most intense fire will destroy everything and fry the ground so morels are less likely to be found there. I don’t know how badly these areas of the Douglas Complex were burned. Instead, look for dead trees, still standing – unless they’ve been cut down as salvage harvest or to reduce the hazard. Trees need to die for these kinds of morels to show up, but if they are still standing, or just blown over, the ground should still be good for morels. Morels also like needles on the ground – that’s another indicator that the fire wasn’t too hot. CAUTION – if you are in an area with standing dead trees, they WILL fall over when you least expect it. Be alert and if the wind picks up, get out fast. I like my readers and want them to stay healthy! The first of June will be pretty late, but anything is possible. When you come up, stop by the nearest Forest Service office and ask. You’ll need to purchase a permit if you want to sell them. If there are enough morels around, there will be buyers in tents in the small towns nearby. Also, look for buyer’s signs. Heather, I have family in Saucier, and have walked the Tuxachanie looking for them since March, to no avail. I live in Vicksburg, and have done the same in the forests near here for the last couple weeks, and sadly not a single Morchella. I’m from Wisconsin, and believe me… I feel your pain! Good read. One of the better I have read. I’ve been hunting them for years in western Virgina. I don’t start getting serious until after 4/10 where I’m at because of temps. Looking for soil temp about 55. Around this area we call them darks or whites. Dark ones will tend to come out 1st. Have a spot within 100 yards of the house I’ve checked daily for the last week. Nothing yet. I also hunt wild asparagus which comes up at the same time around here. I can find enough on my property in good years that I can eat a bunch and dry even more. My family and I took a trip to Rogue River and went Morel hunting and we are hooked. We would like to look here in GA. Is it to late to be looking in the North Ga Mountain Area? Atlanta area? I’m happy to find a website with an active comments section, thanks for your informative responses! I was thinking about heading down to check out the Douglas complex/Glendale fire areas for morels and wonder if you have any specific thoughts about what elevations to be looking in given the warm-ish weather of late. Also, should I focus on more intense burn areas? Some of the maps show where more intense areas are. Thanks again for your insight! hey jerry i’m heading up north from arizona towards oregon ,washington and montana. will it be to late the first of june in higher elevated burn areas to hunt? I’d like to hunt and sell.and do you know of a buyers market? I haven’t heard of any in Mississippi except at the far north end. Some have been found in the Florida panhandle, so I suppose it’s possible. Do they grow in southern mississippi?? Those fires around Glendale, mentioned above, are probably the closest to Eugene (around 120 miles). They should provide a lot of morels this spring. I don’t know what kind of timber harvest has been going on closer to Eugene, but you could call or stop by the Forest Service and ask. Beyond harvest activities, they might even give you an idea of other places to look for morels. The office is at 3106 Pierce Parkway, Suite D in Springfield and you can get your permits while there. Where is the closest area to Eugene where a beginner morel hunter (me) should go look around? I am happy to drive a ways, just need to make it a day trip. Thank you for your help, your blog is AWESOME! The recently started showing up around Charlotte and should be appearing all over central NC real soon. Time to start looking. http://www.blm.gov/or/nwcc/ for an interactive system that shows all the big fires in Washington and Oregon. I haven’t heard anything about that area. It was a huge fire across a quite an elevation range. I’d have to guess another week or two at the lower elevations, assuming some warming temperatures, but defer to someone that has been out there. The Cow Creek Road closure was supposed to be lifted this week. I would expect hazardous conditions – check with the BLM first. hey jerry I use to pick moral in the w.va mountains as a kid now I live in central n.c when do they start to grow in that area? I live in Redding Ca, and have never hunted for morels any ideas for places to look in and around my area? There are no Federal regulations about morels that I know about except that some hunting on federal lands requires a permit. Often the permit is free for personal use, but there is a fee attached if you plan to sell them. The BLM and Fish and Wildlife Service have small holdings in your area, so check with them before hunting there. Most states don’t have any laws about morels, I don’t know about Kansas in particular. If you want to sell morels in Iowa, see the Iowa Morel Mushroom Certification Workshops page. The morel season in Kansas is usually April and May. Some people watch for the redbuds to start blooming. You might try Ottawa State Lake area – seems to be a popular place for morels. Morel kits can work, but they are not a sure thing. Fungi Perfecti (http://fungi.com) sells morel spawn if you are seriously interested. It is possible to expand a gallon of spawn to 1,000 gallons, but it does require significant knowledge of sterile culture techniques and the ability to sterilize grain for the substrate material. You will also need to learn what to do with the spawn once you get it ready for your garden. I grew up hunting these mushrooms. For the past 5 years I have lived in Colorado. I have heard they grow in this area but have never been able to find them. I live in the highest elevation town in the continental US Leadville. The snow does not melt off until May, sometimes even June. Any suggestions on where to look, or what time of year. I have also thought of buying the spores to put in my back yard. Any suggestion on if any of the kits are worth it. In Oregon, morels start in March on the west side of the Cascades along the I-5 corridor. So far this year I’ve heard of finds in Portland, Roseburg, Medford, Ashland. They are being found in the city of Medford and in Portland and are starting to creep up the mountains. For more on morel habitats in the west, see the “More Information” section of the story. It will probably be April or May before we see them around the higher elevations (above 4,000 feet) on the east side of the Cascades. They like burned areas and timber harvest areas around here. Hi..i moved here few years ago from iowa and seem to be missing the season here in Oregon also any suggestions as to where I could start my hunt. thanks im starving for morels and refuse to buy them. the hunt makes em tast better. The rain finally came back. Are chance increasing after the rain is gone? I’m getting excited to go out and try to find some morels. What is a good tempature to go look for them? Thanks again Jerry. The morels are up around Medford and Ashland. * outside Jacksonville, south slopes, 2400 feet elevation. It’s very early for morels around Klamath Falls, but it has been very warm during the days. That might suggest an early appearance, except that it is still freezing at night. I suspect the soil is still too cold. Nonetheless, it never hurts to check! Hi Jerry, I used to hunt Morels with my Grandpa when I was a kid in Klamath Falls. Returning there this weekend. Do you think it is too early or should we give it a go? 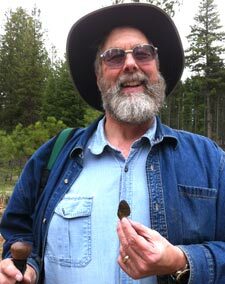 Do you lead mushroom hunts in Oregon? 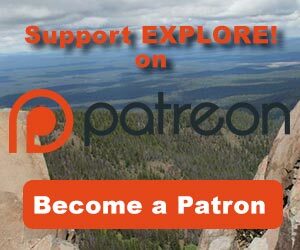 Do you know of good areas in the Central Oregon Mountains? Hi Somer, I don’t know about Whitfield County, Georgia, in particular. Around that part of the world, more generally, morels are often found along stream banks under mixed hardwoods. It’s time to be looking! Hey Jonni! I don’t know what’s been going on with forest management around Portland, so I can’t guess where morels might be found in the woods. Some people find them along the Columbia River, but I don’t know where, exactly. I hear morels have been up in the Roseburg area since mid-February and around Ashland a week ago. That’s pretty early (they usually appear in April and May!). Morels should be appearing all over the west side, at least at lower elevations. Yellow morels can often be found in mulch, flower beds and other disturbed areas right in Portland. I don’t know when the Chief Scout and I will get out hunting, but I wouldn’t expect to see many around Klamath Falls for awhile yet. OMG. I found my friends on the internet while trying to google morels in the Portland area. Awesome! But, seriously, can the little morsel be found around the Portland are, like towards the coast, or do I need to seek higher ground?? Maybe towards, Mt Hood?? It’s really hard to guess given the unusual weather. Typically, in the Greensboro/Raleigh area, they would appear between the last week of March and the middle of April. Jerry, I live in north central NC and was wondering when Morels would appear this spring. If you want to get ahead of the crowd, you might take a look. Great weather for a springtime outing in any case. I’m finding a lot of morels in ashland near the base of my ashland, think it would be worth going up to Hyatt yet? When are morels in season in the Portland area? And is there any forests near there that would be fruitful? In that part of the world, they seem to like wet areas, like stream banks, and sandy soils under hardwoods (cherry, oak, poplar, elm etc). Should start arriving in mid-March and into April. . . if it stops snowing there. What are some of the conditions I need to look for here in northwest Georgia ? I’ve hunted morels in indiana and Illinois ! I knew what and where to look there ! your local farmers’ market during the season. I have morels that I pick here in NC in the spring but I don’t eat mushrooms and would like to know if I can sell them. Any tips on who would be interested in buying? Thanks. Yes, yellow morels are found in Georgia. Usually in mid to late April. Glad you love it all! They were wholesaling for $18.50 per pound (fresh) in San Francisco a couple weeks ago. It took around 32 to 40 ounces of fresh mushrooms to make those 4 ounces so, the fresh price would have been $37 to $46. Looks like you got a bargain! Love the video, love your e-mag, loved seeing the pictures of all of us. I missed hunting mushrooms with you and Chief Scout Trish this year. Crazy, but I have picked morels my entire life, starting at the age of 2. We take them for granted…kinda. But I just love morels. And I was excited to see them yesterday at the store here in So. Florida…. they were selling a package of dried morels (4 oz) for $35.00! You would have thought they were gold! Like most mushrooms, morels can grow both day and night since they don’t depend upon photosynthesis. Sometimes it gets too cold at night (or during the day) and their growth will slow considerably or even pause. The exact temperature that causes this pause varies, but it’s in the neighborhood of 40 degrees F.
do they grow at night or during the day or both? The life span of a wild morel is extremely variable depending upon weather and other conditions. A morel might take a couple of days to a week or more to reach its full size then essentially wilt and disappear within a day or so. This information is not very important to mushroom hunters because the morels tend to keep coming up in the same area over a period of a few weeks – again depending upon weather and other factors. If you don’t see any one day, you may see some the next day. If you find a bunch together, they are probably all different ages. That’s just the fruit, of course. The underground mycelia can live for many years. Wow! I found around 500 yellow morels today in south east Kansas. It was 80 degrees here today and I found them all by the creek. We have had around 3 inches of rain over the last week so it made perfect hunting! Since “burn” morels typically show up in the year after a forest fire, wouldn’t it be nice to know when and where forest fires occurred? You can get that information from this website: http://tinyurl.com/usfsburnmaps Just choose a month from last year and download the KML file. Open the file with Google Earth (http://www.google.com/earth/) to find the burn area nearest you. Has any body had luck in southwest michigan this year? Kalamazoo particularly? In Portland, Oregon and San Francisco the weather is so perfect that I have found scads of nice morels in beds mulched with decorative bark. Many of those are sprayed with weed killer, but the public golf coarses in Portland mulch around all the Western Cedars and Sequoias, don’t spray and you can find morels and others. I don’t know about spraying but Legacy Emmanuel Hospital in Portland usually has quite a crop. Mount Hood Community College is good too. Once I collected 15 pounds of porcini mushrooms at the Eastmoreland Golf Coarse. Grilled them like steaks, froze the result and they’re still great in things like risotto. The morels are around now. Cutting through the parking lot at John Deere’s distribution center on San Rafael in Gresham leaving the cricket on Saturday I picked a very nice looking morel from their decorative bark bed. Suspiciously not a weed in the bed, but still a lovely morel to dry and admire. I haven’t been out yet this year, so I can’t help. Perhaps someone else can offer you and our other readers some ideas. I’m an enthusiastic pot hunter recently transplanted from Montana to Central Oregon. We’ve had a cast of wintery weather in the past few days, but it looks like high pressure and warmer weather is headed towards this area. Being that I’m in the “rain shadow” of the cascades, I’ve had many hits and misses when it comes to morels. They are more black/greyish out here as apposed to the golden morel in the rockies of Montana. Do you have any suggestions on elevations to start looking around here? Pines and firs laden the area, but snow melt is average this year, and should be a great season in contrast to last year’s harvest. Any input would be greatly appreciated. Thanks!! My family of 4 has recently been scouting out spots for morels in southern Or., but haven’t had much luck. Problem is, we have a 5 yr old and a brand new baby. We do enjoy getting out as a family and that has been nice but we’d like a few mushrooms to show for our effort too. Can you suggest any possible spots that would be easily accessible for smaller children to navigate? (Mommy is carrying the baby!) 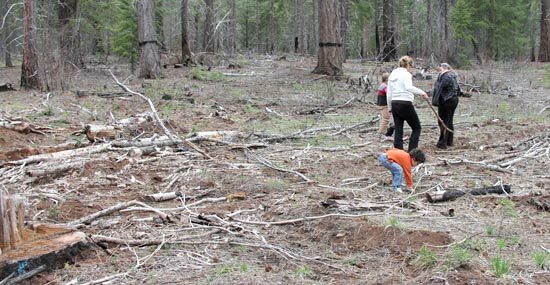 We are not looking to hit the mother lode, just a few to show our daughter (5yr old) what fun mushroom hunts can be. Even if its a general area we’d follow up. Thanks! Yes, it’s time to get out there. I just got home from school and nearly stepped on a big morel mushroom growing out of damp earth and oak leaves adjacent to my driveway, on the north side in the shade. About a foot away, two more had sprung up. I’m in southern Oregon, in an urban setting. Rain is forecast for the weekend, so perhaps there might be good hunting next week. While these websites can give you a hint about when to start looking in your area, you will need to project the information a little to stay ahead of other pickers. It is best to go out and look, before they are reported. Even if you don’t find any morels you can have a great adventure. I am wondering when eastern oregon, sumpter area should be starting for morels? Are there specific areas better than others, a lot of pine around here-anything specific for my area as far as what really seems to be their favorite spot to hang out? Just wondering if any morels have been found in central oregon yet? Still a little cool at night here but a good amount of rain and sun during the day. Maybe a few more weeks? Thanks! I’m a local cental oregonian LaPine area and look forward to hunting morels every year. Not to sure what happened last year, All our usual great picks never showed us a mushroom one. Not sure if we were too late or the weird weather changed their minds for them. We always start hunting the last of April , first part of May. Do you have any input on the strange season we seemed to have had last year ? My friend and myself would like to hunt moral mushrooms in Michigan, and was wondering where we could go. Is public land open to hunt? A few were found a couple days ago in that region. Anyone finding any yet in Southwest Missouri (Springfield/Branson/Joplin areas)? As a general rule, no there is no truth in that. However, it may be true in specific cases. For example, morels would do better on north slopes when habitats on south slopes are drier and more open than on north slopes in the same area. It also may depend upon the time of year, with morels coming up earlier on warmer south slopes – if you happen to be in the northern hemisphere – and later on the north slopes. Morels don’t seem to care about the direction of their slope as long as their needs are met. I have a question, I have heard that morels grow better on a north facing slope. Is there any truth to that. I don’t know if your tip is good or not. That area runs from around 5500 – 6000 feet in elevation, so it will be a bit later than other places around. As soon as the ground warms up a little, check it out. Ian – one of my former best black morel spots was “thinned” a few years ago, and it did not produce much for the next few years. I don’t know if it was ground disturbance, lack of rain, or too much sunshine, but the morels did not return in the same quantities. I have not been back in there the past 3-4 years, as too much internet talk has caused it to become overrun with hunters (which could also be part of the reason my take went down). Hi Pathfinder, I live in Bly, Oregon east of klamath falls. I hear there are morels to be found on and near quartz mountain. Any information as to when to start looking here, if the tip I got is good? I don’t know for sure, but I wouldn’t be surprised. They are currently turning up around Augusta, Monticello, Marietta, and eastern Tennessee. Also quite a few around Macon and Smarr – just up the road from you. It’s time to be looking! Do you know if morels grow in Southwest Albany? Albany/Leesburg, GA area? I think this would be perfect weather conditions after all the rain we have had. Just moved here and I am not sure if they grow here. A little warm rain would be helpful, but if they had enough snow/moisture over the winter they should be ok. I hear some are being found in the Talent area. Might be time to start looking around in your area. As for the recent disturbance, if it broke up the ground a lot, it would take a little while for the mushrooms to spread their mycelia to support fruiting. If it mostly just removed some trees and didn’t make too much of a mess, they should show up soon. I’m in the Applegate/Williams area and I’m a little worried about how dry the spring has been so far. Do you think that will be a problem for the morels? Also, I know of a large area of woods that has been thinned a lot over the last 2 months or so. Do you think that recent disturbance like this will help this year’s morels? To Ryan Statzer: If you live near Bloomington, Indiana. Blooming Foods bought them in the past. They have three locations. East Third Street phone number is 812-336-5400. Good Luck selling them if you can stop yourself from eating them all. We never could! It’s still too early here in Klamath Falls – the ground isn’t warm enough yet. I spoke with one of our great Forest Service reps. She said they have issued 3 permits here and those folks were planning to look somewhere on the Willamette National Forest. She spoke with the Forest Service people on the Willamette and they haven’t seen any morels either. I wouldn’t expect to see many for probably another month, but who knows. but they probably grow there too. My wife and I will be in Humboldt County the first week of May to run a marathon through the Avenue of the Giants, but we are sticking around for a few days afterward. From the older posts, this seems like it might be good timing for morels (it is generally the peak week in MI). I know the Michigan habitat that I normally hunt (Ash & Elm) does not apply out west (I found chantrelles under Douglas Fir last time I was in this area, but that was in September). I am gleaning that Douglas Fir is also a good host tree for the black morel. I’m also seeing “Pine”, but that is a really broad categorization – any particular species of pine that I should be looking in? We are planning a family morel hunting day, I will let you know how we make out. for all fungal species combined. This is NOT true of all National Parks. My family and I are from western md. Plenty of morels to be found soon!! I have to guess that you have one of the varieties of inky cap mushrooms. Shaggy mane (Coprinus comatus) is a great edible, but you must pick it young and cook it within a few hours or it will literally melt away into a black goo. The common inkcap (Coprinopsis atramentaria) does the same thing. Anyway there are several species in these genera that melt or “deliquesce” as they age. This process typically starts around the edge of the cap making it appear to be burned. At the end of the process there is nothing left of the mushroom except some black on the ground. Don’t eat them unless you can properly identify them. Chances are there isn’t anything you can do about them except let them perform their service and be on their way. This discussion on mushrooms and morels are very informative.About a week ago I discovered a cluster of brown mushrooms on my front lawn.Just as peculiar as they appeared,they also appeared to have been set on fire.There was no smoke, odor or anything . I don’t know what to do with them because I don’t know if they are poisonous. I live in Alabama. Can anyone help me ? Thanks! I’d have to guess you probably need to get a little higher given the high temperatures lately. Since you found a few, you are in the right habitat. The ones pictured above were found in early May above 4,000 feet. Morels grow west of the Cascades – they are pretty ubiquitous creatures. Had a dismal day near Suttle Lake area. 34-3600′ elevation. great soil conditions. Only found 2 good Morels and 2 false. This was with 4 adults and 3 teens hunting. We are curious, are they found west of the cascades? Usually we go for Chantrelles and Angel Wings in the fall on the west side. Have not tried for Morels…. You might give the Forest Service a call and see what they can or will tell you. Sweethome District: (541) 367-5168 Sisters District: (541) 549-7700. We don’t follow prices for morels at the picker level. However, yesterday California morels were selling at the wholesale level in San Francisco for $30/pound. The first ones started arriving last week. Haven’t seen any Oregon morels there yet. What are the fire models in Oregon bringing? Hi shroomers. I live in indiana and always find a lot of morels! This year I would like to try making money off of them. Any tips on how and where to do this? They are definitely early this year. In fact I’ve heard morels are up in many parts of the U.S. including Michigan, Virginia, Indiana, Georgia, Alabama, Illinois (even the north end), Kansas, North Carolina, Missouri, Iowa, Nebraska, Ohio, Oklahoma, Tennessee, Pennsylvania etc. Its already in the 80 s in the day, will the mushrooms be early this year?